The combinations of your favorite fruits, vegetables, nuts, seeds, and milks can create truly delectable smoothies. The problem with smoothies is how they’re made and consumed. 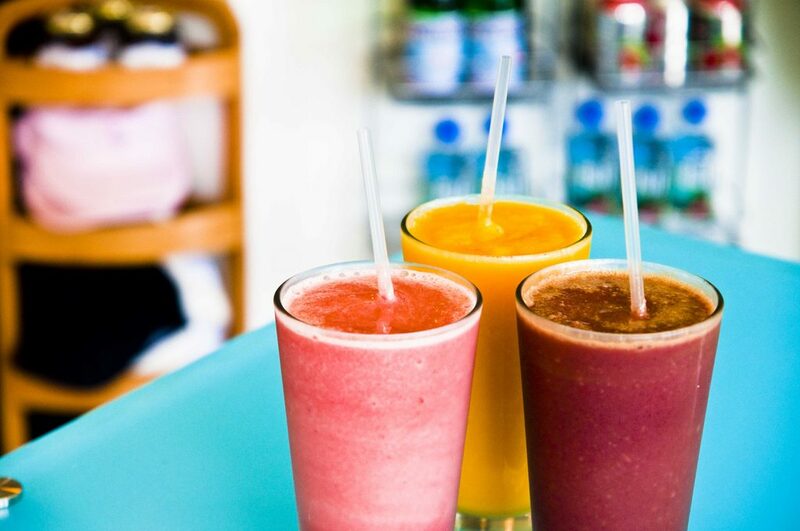 A smoothie can end up being calorically equivalent to a meal. When it’s eaten as a snack, you could essentially be eating a fourth meal. Not only that, but certain combinations of ingredients can end up adding a ton of sugar or fat to your diet. It’s hard to make a delicious smoothie without some kind of fruit. Strawberry banana… strawberry kiwi… mixed berry… pineapple orange mango… But all of these fruits mean your diet is about to over dose on sugar. One medium sized banana not only contributes 27 carbs to your diet, but also 14 grams of sugar. One serving (i.e. one cup) of orange juice can contribute about 22 grams of sugar. While one serving of strawberries (i.e. one cup) only contains 7 grams of sugar, adding other types of fruit along with it can end up making the smoothie have over 20 grams of sugar. Adding one ounce of chia seeds to your smoothie adds 139 calories, 12 carbs, and 9 grams of fat. An ounce of almonds adds 163 calories and 14 grams of fat. And one serving of peanut butter adds about 190 calories and 16 grams of fat. Although seeds and nuts are great sources of healthy fats, frequent consumption of smoothies containing these foods aren’t ideal for a low-calorie/low-fat diet. Milks like almond milk and coconut milk are really popular for smoothies. If you’re including these in a diet that is otherwise very low in sugar, then the 7 or so grams of sugar per cup (depending on the brand you buy) isn’t going to have a huge impact on your diet. However, those 7 grams in addition to the 15+ grams of sugar from fruit really add up. If you insist on using these products, make sure you purchase the unsweetened versions, which contain far less if not no sugar at all. These unsweetened versions will also cut the calories from the milk roughly in half. Silk Original Almond Milk contains 60 calories per cup with 7 grams of sugar while the unsweetened version contains only 30 calories per cup and 0 grams of sugar. Silk Original Coconut Milk contains 80 calories per cup with 7 grams of sugar while the unsweetened version contains only 45 calories per cup with less than 1 gram of sugar. Silk Dark Chocolate Almond Milk contains 100 calories per cup with 17 grams of sugar. If you’re planning on making something like a chocolate banana peanut butter smoothie, it’s probably best to save this for a special treat one day. 17 grams of sugar (milk) + 14 grams of sugar (banana) + 16 grams of fat (peanut butter) = a smoothie that’s basically desert. If you’re going to make a smoothie, a veggie smoothie is the way to go. Green vegetables contribute much fewer calories and you won’t have the issues with sugars and fats as you would with fruit, nuts, and milks. One cup of spinach only has 7 calories. One cup of chopped kale only has 33 calories. The catch with veggie smoothies is making them sweet enough so that they’re tolerable to drink. Typically, people like to add orange juice. But remember, even a half of a cup is 11 grams of sugar already. Conclusion: Smoothies can range from being relatively healthy to basically a desert. It’s probably best to drink them in place of a meal considering that the amount of calories from all the ingredients can really add up. Your main challenge is going to be keeping the amount of sugar low. For that reason, it’s best to drink smoothies sparingly.